Everyone has an agenda. Our personal actions and choices are led by it and everything we do leads towards achieving it. Unless we purposefully establish what our agenda is, we may be completely unaware of it. However, we follow it regardless, knowingly or unknowingly. It was shaped by our upbringing, the people we have met, the ideas we have been exposed to, seminal moments in our lives. All of these have shaped the way that we see the world. They have come together to generate our personal agenda. As a writer who looks for common ground in the countryside, environmental and farming issues, I am sometimes criticised for having a scope that is overly broad. I do not argue a case for a particular way of doing things, although I have my own views on individual matters. I actively seek to expose my readers to a wide range of issues revolving around food, farming, the countryside and sustainability. These shape my agenda. When it comes to farming I advocate an approach where the best of all models is taken to formulate a means of land management that works for a particular individual, for a particular farm. Close mindedness has never been a healthy way of seeing the world and we need to remember this in today’s political climate. My agenda is one of openness, liberalism and independence of thought. I strive to spread ideas about sustainability, the diversity of farming, the need to profile conservation and environmental issues (which most of the mainstream media channels continue to sideline as a fringe topic). I welcome guest posts on my blog from anyone with an interest in these topics, no matter their background or ‘agenda’. I have my own views, but strongly respect and uphold the right of others to hold theirs. I dislike when certain people, knowingly or unknowingly, insinuate that their view is more important than others because they hold a certain agenda. Personally I am no fan of fox hunting, but I respect the right of those who enjoy it to continue practising it under the current legal framework. Others believe so strongly in one way or the other that such views can sometimes turn in to abuse of the other side. I remain an open book when it comes to GM and believe that there is far more we need to know before a decision can be taken as to how it can fit within our food production framework. I believe that we often overly simplify the GM issue and it has become so ‘agenda led’ that we fail to open our eyes to the other side when discussing it. We need to properly understand both sides of the argument when forging our view and remain open to the chance for our opinion to change. We are always learning and are always being exposed to new ideas. We need to be open to this but also be frank in our scepticism. Writers, lobbyists, politicians, supermarkets, businesses, organic farmers, agri-chemical firms, criminal barristers, institutions and all other individuals and organisations have individual agendas which will inevitably collide. There is nothing wrong in this. It’s how we move forward, individually and collectively. We need to be exposed to other opinions to continue to grow as individuals and to decipher the direction of our own personal life journey. We need multiple agendas. Multiple strands coming together make for a much more exciting world. The task we have is to navigate our way through these strands, being open to radical new ideas at the same time as maintaining our balance and ensuring we uphold respect as a fundamental value. It is the duty of storytellers to acknowledge opposing agendas, to never discount an idea but to move through life critically and with an open mind. It seems to me that all countryside issues get overtaken by the hunting issue, which makes either side of the argument hot-headed because it’s such an emotive subject. 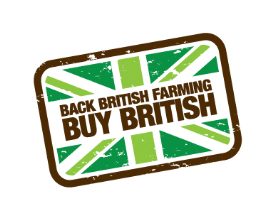 So calls for consensus are welcome as the UK restructures a farming and environmental policy. However “never discounting an idea” is a tricky one – plenty that have been proffered by the Government over the years have been dumb.